I'm continuing my visit to the My Lai massacre site in Vietnam. It's a sad memorial place, a rural village in central Vietnam where hundreds of civilians were killed by US soldiers in a 1968 operation. I've already met one woman that survived that massacre, an older lady in her 80's who is still there today. She had told me her moving story of survival. Among the landscaping near the My Lai memorial statue, I see another woman in her 40's tending to the greenery. Like so many Vietnamese women who work the rice paddies, she’s wearing long gloves to protect her skin from the sun. From beneath her conical hat she looks my way, and pauses from her work. She smiles at me, and gives me a friendly wave. It turns out that she is also a survivor of the massacre that occurred here! With the help of my translator, I learn her amazing story. Her name is Nguyen Thi Lien, and she was only seven when the attack happened. Today she’s tending a garden of shrubs here in My Lai, next to the long ditch where more than 100 civilians were shot to death on that horrible day in 1968. My translator says that she was at this same ditch when the shooting happened. Her mother covered her, and when the shooting stopped, they both played dead among the other bodies. Then the American soldiers walked away. The dead were all around them, so they gathered with other survivors in a nearby bunker. They started yelling, hoping someone from a nearby village would come and help them. A squad of US soldiers heard their screaming, and returned to finish them off. Before the soldiers reached their bunker, a small US helicopter swooped down from the sky, and landed in between them. The pilot and his armed crew got out, and placed themselves between the civilians and the other American soldiers. There was talking and shouting, but Thi Lien couldn’t understand what they were saying. She couldn’t know it, but in between the profanities, the American pilot had told his crew that if the approaching soldiers opened fire on those civilians, than his helicopter crew was to return fire on the soldiers. The pilot approached the terrified Vietnamese in the bunker, and motioned to Thi Lien and the others inside that they should come out. His aim was to take them to safety. Since they already feared the Americans from the killings that they had witnessed earlier, Thi Lien and her mother fled on foot to a nearby village. At the request of the pilot, another larger helicopter landed, and took the other surviving villagers to safety. With all the killing of civilians at My Lai, Thi Lien was fortunate that this one group of US soldiers had intervened to stop the massacre. He had saved 10 village civilians from certain death. The pilot who had saved them, was US Army Warrant Officer Hugh Thompson. He had been flying a reconnaissance mission over My Lai in his OH-23 Raven. He and his door gunner Larry Colburn, and crew chief Glenn Andreotta saw the corpses, and the killing that was happening beneath them. Horrified by what they saw, they landed to stop the further murder of civilians. Besides Thi Lien and others in the bunker, another boy was saved by this crew with a conscience. As they were flying overhead, they saw movement in the dozens of corpses lying in the bloody ditch. After landing the helicopter, crew chief Andreotta waded into the tangle of bodies, and pulled out an eight year old boy named Do Hoa. Andreotta and Colburn brought him onto the chopper, and Thompson flew him to the nearest hospital in Quang Ngai. He hadn't been seriously injured, and the boy survived. As horrible as the massacre was here, the Vietnamese still recognized that these three US soldiers performed their duty with honor, by saving 10 civilians. Photos of them and their story, are posted in the memorial museum. As for what happened to this hero helicopter crew, two of them survived the war. Only one of them still survives today. Glenn Andreotta, the helicopter crew chief who had pulled the young boy Do Hoa from the corpse filled ditch, never made it home to the USA. He was killed in action in Vietnam only three weeks later. The hero pilot whose actions had saved the civilians, Warrant Officer Hugh Thompson, managed to survive the war, even though his helicopter was shot down several times. The last time he was shot down, he had broken his spine. 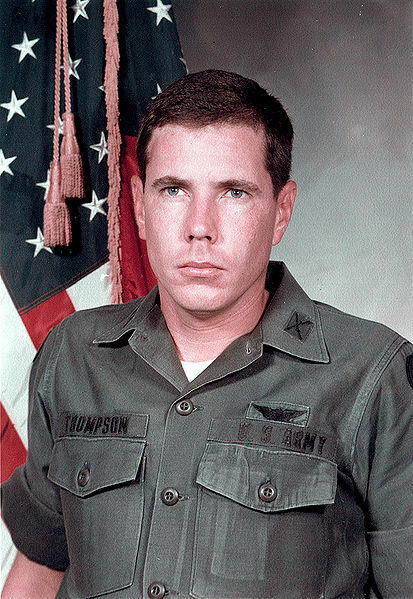 Although he was awarded the Distinguished Flying Cross for his actions at My Lai, Thompson threw the medal away, seeing it as an attempt to buy his silence. But Thompson’s silence could not be bought. He later testified about the massacre at military inquiries, at the court martial of Lt. Calley, and even before the US Congress, so that the awful truth about My Lai could be known. Thompson was quickly ostracized by other pilots and army officers. He received hate mail and death threats. Thompson left the army for good in 1983. 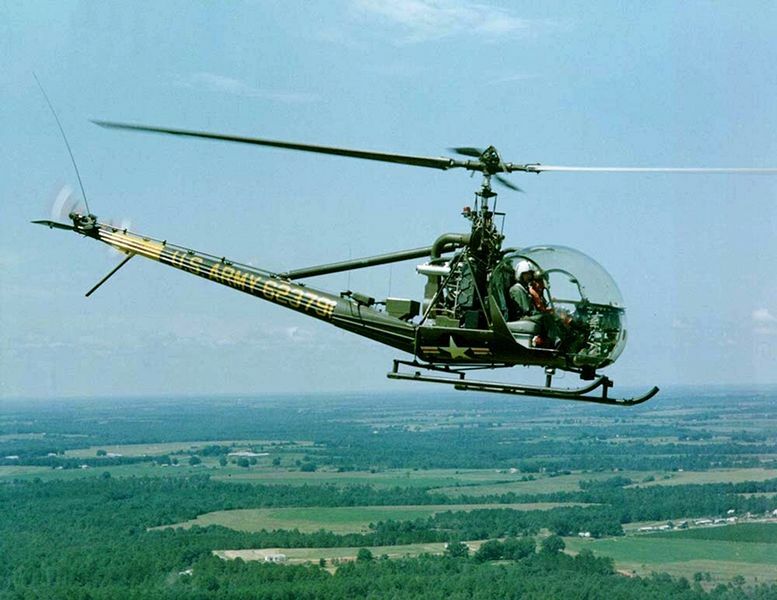 Afterwards, he continued to fly civilian helicopters, ferrying workers out to gulf oil rigs. It wasn’t until many years later, that Thompson was finally recognized publicly for doing the right thing. In 1998, the Pentagon awarded him the soldier’s medal. Thompson initially refused to accept the medal, arguing that his two crewman deserved the citation as well. On this point, Thompson won, and they all received the award. Later in 2004, Thompson was inducted into the Army Aviation Hall of Fame. Sadly, two years later Thompson died of cancer in Louisiana at the age of 62. His former door gunner, Larry Colburn, came to visit him on his death bed. The two had reconnected in the years afterwards. Today, Colburn is the only survivor from their original helicopter crew. Like Thompson, he had testified for the inquiries, and he has given many interviews for articles and documentaries about My Lai. Colburn now owns a medical supply business, and lives outside of Atlanta with his wife and son. 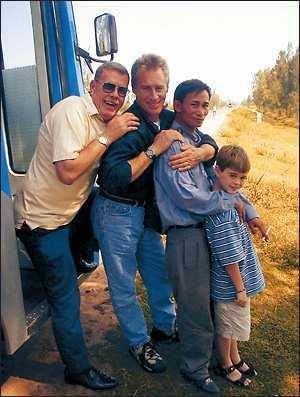 On a better note, in 2001 Thompson and Colburn traveled back to Vietnam, back to My Lai. Working with the Wisconsin Quakers, the former soldiers returned to dedicate a new elementary school for the children of My Lai village. These two honored veterans were even able to meet with some of the survivors that they had saved, including Do Hoa, the traumatized little boy that they had flown to Quang Ngai Hospital. It was a reunion that had been a long time coming. In the following years, the young Vietnamese boy that they had saved, had grown into a man. Do Hoa had become an electrician. Even though he was now an adult, Do Hoa addressed both Colburn and Thompson as, ‘Poppa’.